Ted Allbeury, Rules of the Game. This is a traditional British espionage novel, set during the Cold War. The KGB is studying mind reading and, needless to say, the Americans and the British want to kidnap the Soviets' psychic, Ursula Jaeger. Interesting plot and good characterization; written by a former British intelligence officer. Milton T. Burton, The Rogues' Game. A man and a blonde set off in a Lincoln Continental convertible in 1947, bound for a West Texas town where a high-stakes poker game has been played in the Weilbach Hotel every weekend for half a century. They find much more than a card game. Very well-crafted noir with nice glints of humor by a man who knows Texas. 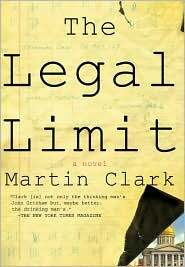 Martin Clark, The Legal Limit. The author, a Virginia circuit-court judge, tells the riveting tale of two brothers who covered up a murder, only to have it explode 20 years later. Great characterization in this legal thriller. Eric Dezenhall, Money Wanders. A New Jersey mafia don can't get a casino license, so he hires public relations rep Jonah Eastman to clean up his image. Clever and cringe-inducing. Susan Isaacs, Long Time No See. Beautiful Courtney Logan drives to the store and disappears, only to pop up as a corpse when the family swimming pool is uncovered months later. Judith Singer, amateur sleuth of Compromising Positions (which should be read first), champs at the bit to investigate. The mystery isn't compelling, but who reads Susan Isaacs for the mystery? Funny, irreverent. 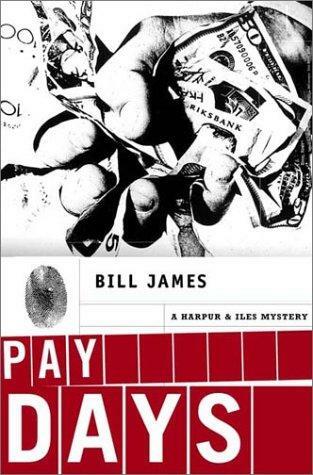 Bill James, Pay Days. How does one do a thumbnail of a crazy Harpur and Iles plot? Neither British criminals Shale and Ember nor cops Harpur, Iles, and Lane know whether they can trust DCI Richard Nivette. You can't be sure who is in cahoots with whom in this darkly humorous gem. Ross King, Ex-Libris. If you liked Iain Pears's Instance of the Fingerpost, try this book on for size. In 1660s England, Lady Marchamont asks bookseller Isaac Inchbold to find the only existing copy of the Labyrinthus Mundi, lost when Pontifex Hall was occupied by Cromwell’s soldiers. Excellent literary thriller. Donna Leon, Blood from a Stone. Commissario Guido Brunetti investigates the murder of an African street vendor in Venice, Italy. This is a fine series set in one of the world's most complex cities, and this book deals with issues involving immigration, corruption and injustice. John D. MacDonald, The Deep Blue Good-by. I'm re-reading the Travis McGee books for our series reading challenge. Most of the books in this series have similar plots. This is the first one. McGee lives on the Busted Flush, a houseboat in the Fort Lauderdale, Florida, harbor. He is a "salvage expert," meaning he looks for lost things upon request and gets a cut when he finds them. Along the way, he talks about life and gets the girl. Oh, and what was lost is always found. A classic series. Kate Ross, Cut to the Quick. It's 1820s London, and dandy Julian Kestrel is slated to be best man at a wedding when he finds the dead body of a woman in his bed. First book in the four-book series. Perfectly atmospheric historical mystery, well plotted. It's just about time to put the kettle back on. I have a book I'm looking forward to reading, Andrew Nugent's The Four Courts Murder, sitting on the table by a comfortable chair. It's supposed to be witty and charming (how could it be otherwise––it's Irish). Apparently, Justice Sidney Piggott of Dublin's center of law, the Four Courts, is "designer-made for being throttled." I certainly hope he is. Note: After reading 20 pages of Burton's The Rogues' Game, I quickly looked to see what else he'd written. There are two other books published, The Sweet and the Dead and Nights of the Red Moon; The Devil's Odds will be published next month. I was very sorry to learn that this talented writer died last month. Susan Isaacs is a longtime guilty pleasure of mine. Along with Fannie Flagg, the finest mind candy. This EX LIBRIS sounds particularly appealing to me. I'd never heard of it. I am chagrined to mention that I have missed out on Travis McGee. I hope to remedy that soon. It is always nice to try one of the classics in the best sense of the word. Kate Ross has always been a favorite of mine.I believe she died young and so her series has only about four mysteries. I hope more readers give her a try. Yeah, Sister, Susan Isaacs and Fannie Flagg are mind candy to be savored! 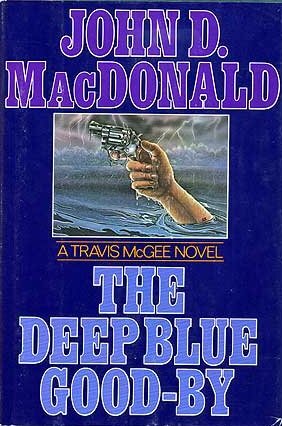 I hope you do get a chance to read some Travis McGee novels, MC. For American classics, it's hard to beat Raymond Chandler, Dashiell Hammett, James M. Cain, Ross Macdonald, and John D. MacDonald. REFERENCE: "Rollercoaster Asthma: When Positive Emotional Stress Interferes with Dyspnea Perception," Simon Rietveld and Ilja van Beest, Behaviour Research and Therapy, vol. 45, 2006, pp. 977–87. 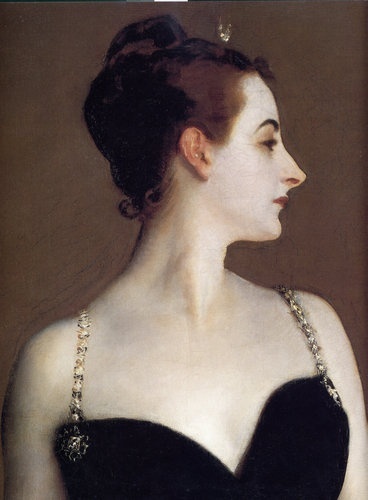 Hi Elizabeth, thanks very much for the link to the Postmodern Deconstruction Madhouse. I enjoyed Peter Quinones' posts about John D. MacDonald and McGee, and I've bookmarked the site so I can read Peter's other essays.